Sociology 100 features some of my favorite M.U.S.C.L.E. images. If your childhood was like mine during the mid-1980’s, then pictures were only taken during the most special events (and often sitting on a couch). I think that’s why childhood M.U.S.C.L.E pictures are so rare. Thankfully Jensen Bohren, the original owner of the infamous #33 figure, found some of those ultra-rare pictures. The pictures are from Christmas. He believes he was five years old at the time. 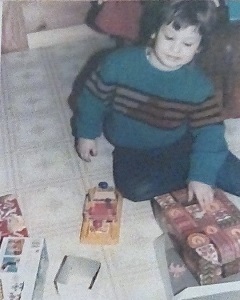 He was born in 1983, so that means these pictures are from the Christmas of 1988. 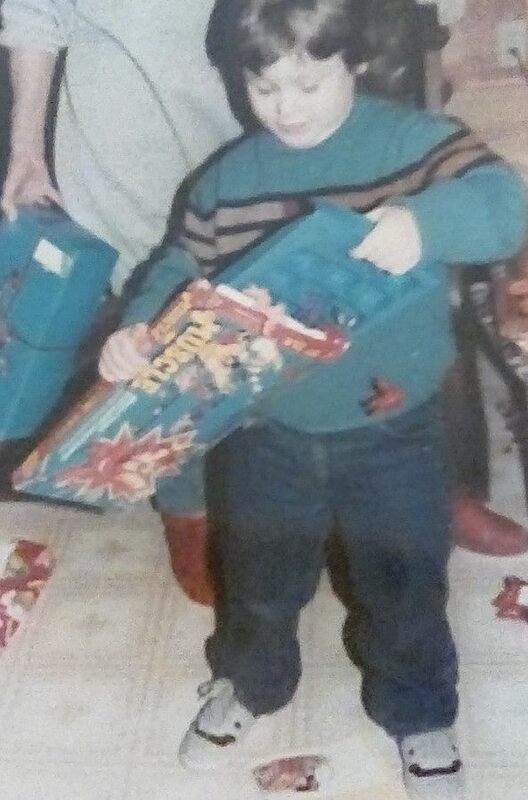 We can see the wrestling ring (with the cardboard insert) and the 28-Pack #2 (Cosmic Crunchers). We can see a Red figure falling out of the 28-pack, but your eyes are much better than mine if you can identify the figure. I feel comfortable, on behalf of the entire M.U.S.C.L.E. community, saying thank you for Jensen sharing these priceless and heartwarming pictures. If you would like to submit M.U.S.C.L.E. related pictures from your childhood, please email the pictures to the University of M.U.S.C.L.E.. An accompanying description to provide additional information about the pictures would also be greatly appreciated. This entry was posted on Tuesday, April 16th, 2019 and is filed under Research, Sociology, UofM News. You can follow any responses to this entry through RSS 2.0. You can skip to the end and leave a response. Pinging is currently not allowed.